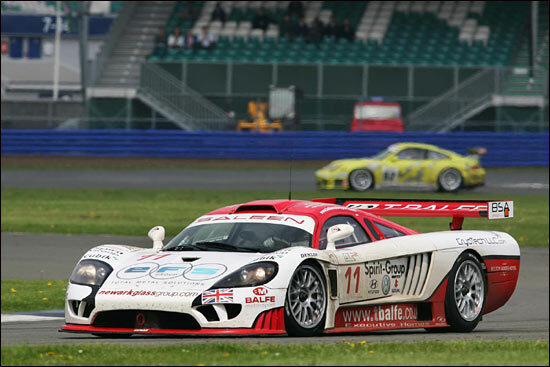 The opening round at Silverstone was a frustrating and slightly disappointing start to the 2006 FIA GT Championship for the Spirit Motor Group-backed Balfe Motorsport squad. The team had never had any grand thoughts that they would be challenging for victory, but to be so far away from the ultimate pace was definitely not where they wanted to be, especially when the Zakspeed car in the next garage was challenging for pole and the lead of the race. An overall handling problem meant that the drivers were unable to get the car to do what they wanted and get the power and traction down out of the corners. A couple of major set-up changes over the three days were made to try and cure it as a quick fix. A definite improvement in the dry during the second half of the race was a bonus. But, as both David and Shaun Balfe stated at the time, at this level of racing, you have to be ‘on it’ from the word go. Any problems during the start of a race weekend and you can be on the back foot for the rest of the event. It was certainly the case for the Balfe team at its home event. In the short time between Silverstone and Brno the team has not stood still. The crew in the workshop has been incredibly busy, making adjustments and changes to the car in an effort to move further up the timesheets in the Czech Republic. An awful lot of time and effort has been put into what has essentially been a two week gap, with the car and transporter needing to leave on the Monday preceding the Brno race weekend. 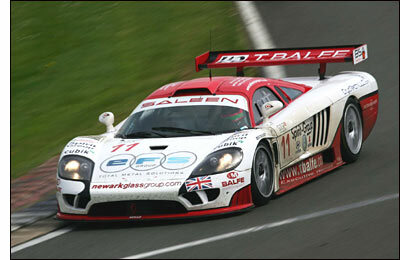 The acid test as to whether the team has turned the corner will not be known until the Saleen S7R takes to the track on Friday afternoon. “It’s certainly a case of ‘must do better’,” said Shaun Balfe. “The whole team was frustrated and disappointed at Silverstone and although we made some progress with the car and the lap times right at the end of the weekend, it certainly wasn’t where we wanted to be, or expected to be. The Brno event is one that the Balfe team enjoyed last season and it hopes to have a weekend to remember for the right reasons again this year too. Both drivers are looking forward to racing on the twisty Czech track again and another reliable run to the flag, this time in a good, solid points scoring position will be the aim. The team will take to the track on Friday afternoon for the opening free practice session. The race will be shown live on the Player channel on digital TV from 13.15 BST on Sunday.